Advices Senate President not to Interfere with Police Investigation into Assassinations. “The attention of the Nigeria Police Force has been drawn to Press Statement credited to the Senate President, Federal Republic of Nigeria, Senator Abubakar Bukola Saraki, of “Plot Against Him by IGP”. “The Nigeria Police Force is shocked at the unbelievable claims, unverifiable allegations and unfounded accusations being peddled against the IGP by the Senate President, accusing the Inspector General of Police, IGP Ibrahim Idris of plot and strategies against him to settle scores. “The Force therefore wishes to categorically state that, there is no iota of truth in the allegation and false assertion by the Senate President of plot against him by the IGP to implicate the Kwara State Government and the Senate President in any criminal matter. “Until investigation is concluded, any person, persons or group who tries to interfere in the investigation process by action or utterances is committing an offence. “To set the records straight, the Kwara State Police Command on the 11th of May, 2018, paraded the following suspects before the Media and the Public, namely; Abolaji Safti Ojulari of Kankatu area, Ilorin, Lanre Mohammed Soliu a.k.a Askari of Ile Nda Compound, Ilorin, Azeez Moyaki of Moyaki Compound, Gambari Area Ilorin. Others are Suleiman Babatunde of Gambari Area, Ilorin, Yusuf Habeeb of Kangile Village, Kulende, Ilorin, and Umar Yahaya of Kangile Village, Kulende, Ilorin. “The suspects admitted and confessed before the press and the public to have killed Eleven (11) innocent persons in kwara State and other States of the country. “The victims according to the suspects were targeted and killed on the instructions of their sponsors. “Find attached names of victims killed in cold blood (i) Bukola Ajikobi killed on 18/01/2016 at ajikobi Area in Ilorin (ii) Azeez Lawal killed in February, 2018 at Oja oba area of Ilorin (iii) Lateef (Surname unknown) killed February, 2018 at Ode Alfa Nda area of Ilorin (iv) Jamiu (Surname unknown) killed in February 2018 at idi ape area, Ilorin (v) One segun (Surname unknown) killed in September, 2017 at kankatu area of Ilorin. Others are (vi) Wasiu (Surname unknown) killed in September 29, 2016 at Shao garage of Ilorin (vii) Musiliu (Surname unknown) killed in February, 2018 at Shao Area Ilorin (viii) Bayo Ajia killed in January 18, 2018 at taiwo Road, Ilorin (ix) Another Lateef killed in January 2016 at Baboko Area of Ilorin (x) Abbey a student of Kwara Polytechnic killed in April, 2017 at Niger Road, Ilorin (xi) Lanre (Surname unknown) killed on 23rd August, 2015 at Isale Aluko Area of Ilorin. 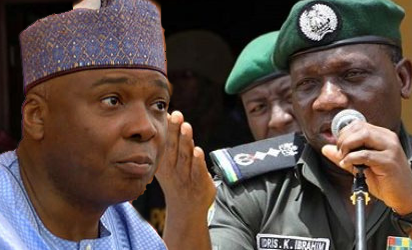 “Consequent upon the public confessions of these vicious and notorious killer squad to the killings in cold blood of more than Eleven (11) innocent people in Kwara State and other States of the Federation, the statutory procedure and practice in the Force is that such a heinous crime and capital offence is transferred to the Force Headquarters for further investigation. “This is to enable a thorough and discreet investigation into the crime. “However, it is pertinent to state that, there is no vested interest by the Inspector General of Police in the ongoing investigation into the several murders committed by this killer gang, other than ensuring that justice prevails in the matter. “Nobody, no matter how highly placed would be allowed to interfere or obstruct Police investigation to pervert the course of justice. “It is also imperative to let the public know that last year, suspects arrested over the mayhem and killings of innocent people in Ile-Ife, Osun State and those arrested in Southern Kaduna crisis in Kaduna State and suspects arrested in connection with Zaki-biam killings in Benue State were all transferred to the Force Headquarters, Abuja for further investigation before they were arraigned in court of competent jurisdiction. “Therefore, transferring this hired assassin gang masquerading as cultists in kwara State to Force Headquarters, Abuja for further investigation is in accordance with Police investigation procedures. “It is also important to underscore that the statement credited to the Senate President can dissuade and discourage living victims/deceased families of those who must have been killed by this vicious hired assassin gang from coming forward to give evidence against them. “The Nigeria Police Force hereby implores members of the general public to disregard and discountenance the claim of plot by the IGP against the Senate President as a ruse, unfortunate and an attempt to divert Police investigation into the killings of more than Eleven (11) innocent people from kwara State and other States of the Federation in the recent past by the killer squad who operate under the guise of a cult group.